If you spend a lot of time on the road behind the wheel you know how much the comfort and quality of the ride matters. 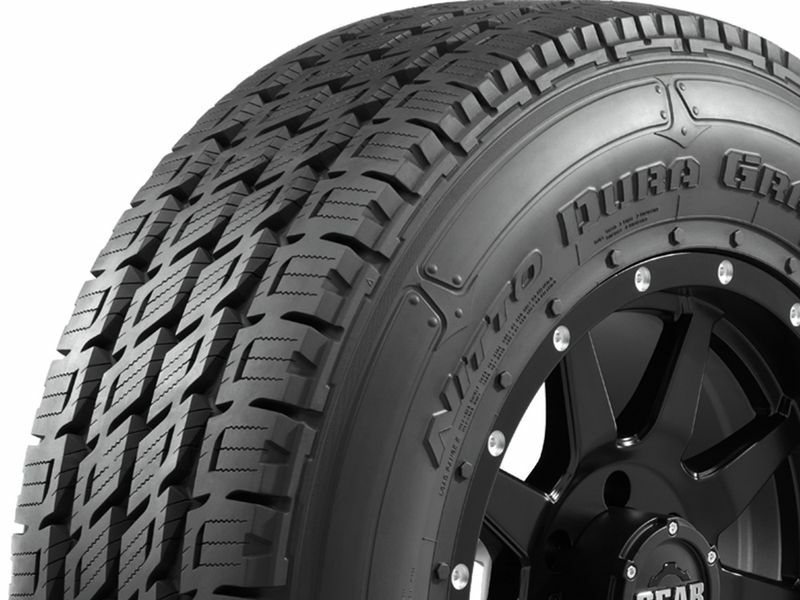 Nitto specifically had you in mind when they designed the Dura Grappler highway terrain tire. The Dura Grappler was created by Nitto specifically to be the best highway terrain light truck and SUV tire on the market. Featuring unmatched ride quality. Nitto also wanted to make sure that when you're traveling long distances your tire would last as long as you do. That's why the Dura Grappler is the longest lasting tire in the Nitto Tire line-up. This tire is suitable for a wide range of trucks and SUVs, featuring a specific tread pattern tailored to each application. SUV applications with P-Metric sizes are offered in a quiet 5-rib design with a 60,000 mile tread life warranty while E-Load rated truck tires are offered in a durable 4-rib design with a 45,000 mile tread-life warranty. If you travel over-the-road the majority of your year, the Nitto Dura Track highway terrain tire is the perfect match for you. If you are changing your tire dimensions from stock you will want to have your speedometer & odometer recalibrated after installing your Nitto Dura Grappler tires. Changing your wheel or tire size can affect the accuracy of your gauges as well as how your transmission shifts. To check out the tire recalibrators that we sell click here. If you have any questions or concerns please feel free to give us a call.